Why did we take so long to feature such a stellar ride? Well, we had to wait for the planets to line up, and finally arranged for a shoot on an uncompleted stretch of freeway west of Bakersfield, California. It was well worth the wait, as you’ll see. The effort that went into this project is extraordinary, and will likely give other kit builders some inspiration for embellishing their own rides. First, though, a bit of background on Knecht, and how he honed his fabrication skills. A California native, he has always been interested in anything that goes. He started young, building go-karts, mini bikes and anything else he could ride. In high school he bought the family 1970 VW Beetle. 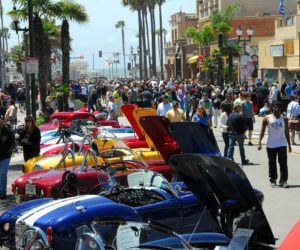 That’s where all that go-kart work paid off, as he converted the bug into one hot street car ahead of the Cal-look craze. This practice of drawing on early experiences would bode well for later projects. After high school Steve went to work as a tune-up mechanic at a local dealership, and then moved on to working as a diesel mechanic. At 23 years old, Steve decided he was tired of working for someone else and wanted to have his own business. Using the experience of building his own hot-rod VW, he opened Volks Works, a VW repair and fabrication shop. The Cal-look VW phenomenon was in full swing in the early Eighties, and Steve and his crew turned out some of the VW show cars of the era. 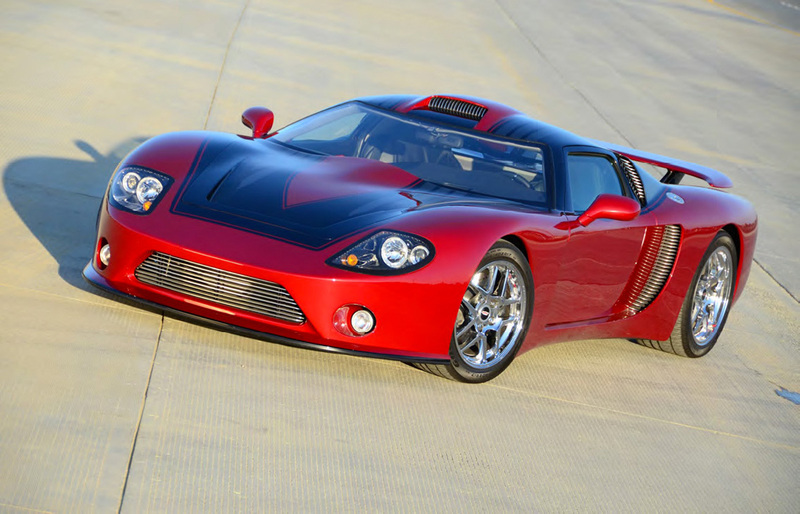 While hardly a high-end exotic like the GTM shown here, customizing a Beetle was a good training ground for a far more challenging endeavor, as many other kit builders can likely attest. Over the next five years, Steve accumulated many car show awards and magazine features with the vehicles that he built for his customers. Eventually, he decided that he liked building cars more than managing a business, so he closed Volks Works to pursue his personal passions on a smaller scale through T&S Designs. In the late Eighties, he got involved in the car audio scene, and got hooked on stereo competitions, while still building cars as well. During this time Steve married his longtime sweetheart Teri. Starting a family while working on one car at a time can be kind of tough, so Steve realized that he needed to expand his skills and started doing computer-aided design (CAD) for his car projects. An opportunity came along to do. some CAD work for a knee-brace company using a $500K Silicon Graphics system. Talk about a kid in a candy store! This would prove to be a pivot-al moment in the development of his customizing skills, because behind that computer was access to a full CNC machine shop. Steve’s design and fabrication capabilities expanded exponentially. Making knee braces is certainly a worthy endeavor and provided a good living, but it just didn’t fill that creative need. So his after-hours car projects continued unabated. 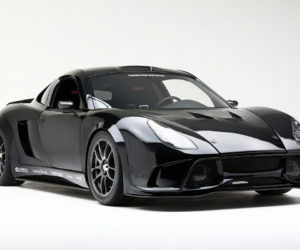 Which brings us to the stunning GTM you see here. For the last 20 years Steve has been doing work on the side for Frank Hinmon, who has a fine collection of classics, kustoms and street rods. 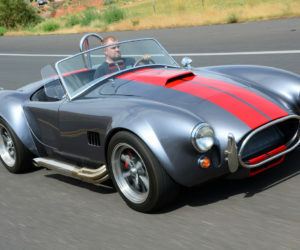 About four years ago he said, “Hey Steve, there’s a new kit car I want to build.” Easier said than done, of course, but Steve had already built a couple MGTD replicas and a Sebring kit car in the past. Even so, with the eclectic taste Frank has in cars, Steve was a little hesitant about taking on GTM. 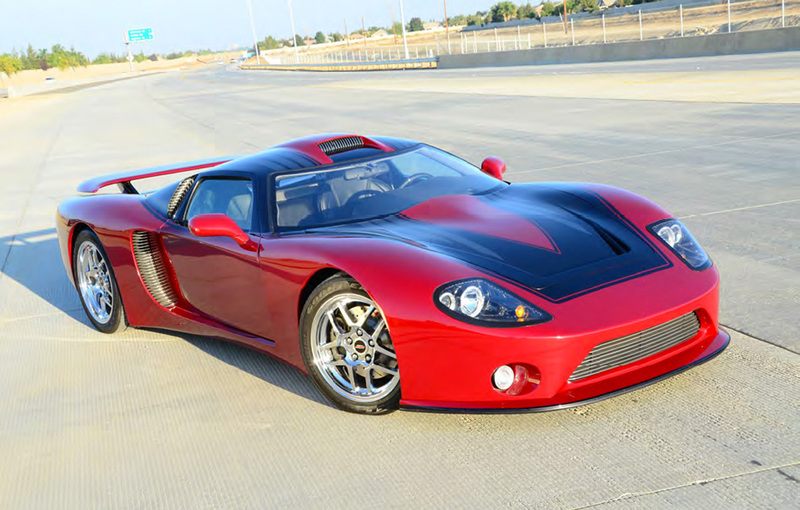 Fortunately there was some-one building a GTM in Bakersfield at the time and Frank took Steve over to look at it. The second Steve saw it, he knew that it was going to become the fulfillment of a lifelong passion, since he had always wanted to build a car from scratch. He felt that no matter how cool you make an existing car look, it’s still just a modified car. There’s nothing like the feeling of accomplishment of assembling an entire car—not to mention taking it to an even higher level of finish. Frank had only two conditions: “You can’t paint it blue or pink.” Okay fair, enough. There are plenty of other cool hues to pick from on the color wheel. So Steve and Frank struck a deal. 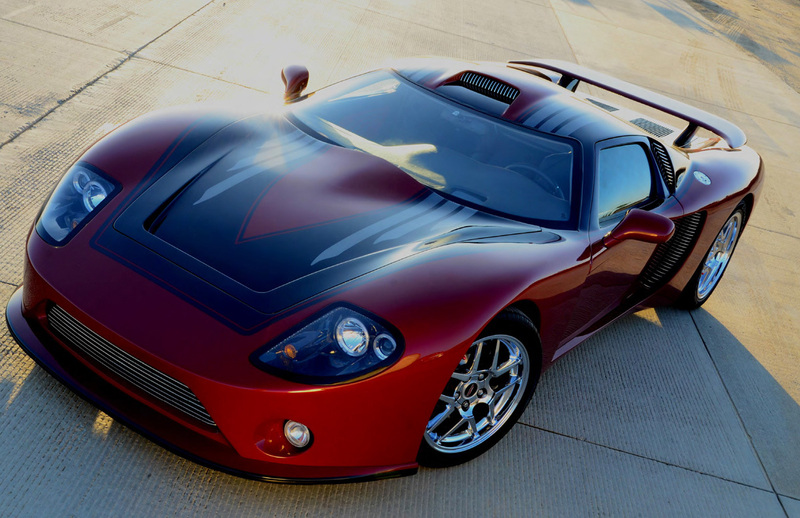 Steve would bring his years of building experience and a full machine shop to the build the GTM, as long as Frank would write the checks. In retrospect Frank got the best end of the deal because while there is probably nearly $50K total investment in this car, compare that to four years of long nights, weekends and weeks of vacation time. Easily 4000 hours. But no complaints. After all, Steve would finally be able to indulge his automotive impulses to an unprecedented degree—and then some. The GTM kit arrived on April of 2009, but Frank had been busy long before, doing what he does best (finding the best deals, since he’s in the real estate business by trade). He purchased a salvaged 2004 Z06 Corvette for $7500, and found a company that would remove all the parts we needed for the build and keep the rest of the donor car in trade for the labor. The engine only had 17K miles on it, but was stripped down to the long block so high-flow heads and cam could be installed. Frank also found a low-mileage G50 gearbox for $3500. With all the major components ready and waiting when the kit arrived, assembly to the “go-kart stage” went pretty fast (note how all those early experiences can add up). All the suspension parts were fully disassembled, smoothed and powder-coated chrome metallic, and the aluminum panels powder coated Argento Grey after drilling and fitting. Chassis detail went to the extreme, with features such as every bolt measuring 1/4 inch or more being drilled and tapped so a custom billet nut cap could be secured with a SS button-head screw. The same button heads hold on all the aluminum panels. After the suspension work, engine, transmission and exhaust were installed, the chassis was taken to Ted Harrison of Quick Racing Products in Stockton, California, for a custom wiring harness. 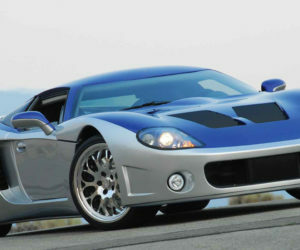 Since it was never the intent to build a bare-bones competition car, creature comforts were included, such as one-touch power windows, heads-up display, automatic lights and intermittent wipers to name a few, all transferred over from the Corvette C5. Harrison also installed the GTM-faced instrument panel from the Corvette. He had developed a swaybar kit for the GTM as well that he expertly installed, along with his aluminum gas tanks and custom springs and shock kit. Meanwhile, Steve was busy making the body look just the way he likes them, smooth and curvy. It had been briefly installed on the chassis to trim all the moving parts, ensuring that everything fit, and to make the modifications that could be done only with the body mounted. Steve thought the tilting front end was pretty cool, but didn’t think he had the skill to make it open and close or fit the way he wanted, so he deter-mined that the only way to get the look he wanted was to fabricate a single-piece front end and hood. Another area that he felt needed addressing was around the door windows, especially in the A-pillar area. So he fabricated a set of window frames for the glass to seal into. The door frames required the rear-quarter window area to be re-shaped to continue the flowing lines. So he fabricated some fully functional, fresh-air scoops to fill the gap behind the doors. Speaking of scoops, Steve had also fabricated one for the roof after lowering it one inch to allow a larger air flow into the engine. But his original scoop design just didn’t do it for him. Out came the Sawzall and a Factory Five roof scoop went in instead. Since Steve and Frank’s vision for the car was to be a street supercar, and the factory vents in front of the front tires and behind the rear tires looked more at home on race cars, they decided to fill them in. Also, the front nose opening was deemed too big so it was reshaped smaller. The air intakes behind the doors were deemed too small so they were enlarged. Neither Frank nor Steve thought the taillights or head-lights were up to the level of finish they were trying for, so Steve designed and built some custom headlight buckets that included angel eyes and LED accent lights. Taillights were custom fabricated to use all LEDs. 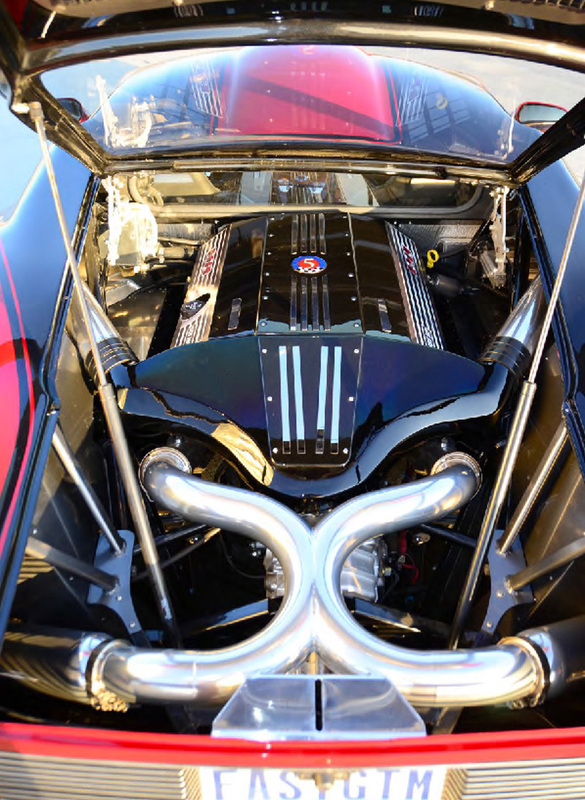 The exhaust was routed out to the custom openings in the lower corner of the body. The license plate opening was re-shaped to tie in with the taillights. The stock diffuser was a little too aggressive so it was cut down and fit “into” instead of “onto” the body. Any respectable supercar needs a wing and front spoiler so those were also custom fabricated to finish off the look. With most of the major bodywork done, it was time to move inside. Since they opted to put in the C5 instrument panel, a custom dash with a working glove box was required. 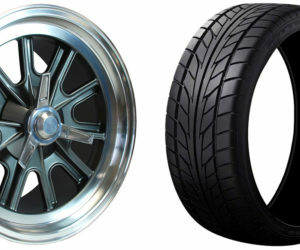 Three different versions were tried before choosing the current model. Steve’s tenure with car audio came in handy for designing and fabricating a custom interior that would hold a 1000-watt sound and AV system. That meant fabricating custom door panels to incorporate door pulls and JL Audio six-inch mids and one-inch tweeters. And also designing and building a sealed enclosure for the eight-inch JL audio subwoofer that re-sides in the center console. The center console also holds all the LED switches, Pioneer double Din head unit and RFID pushbutton starter. At the back of the console is another cubby for assorted items such as cleaning supplies. All interior panels are made of .030-inch aluminum, covered in Landau foam and red, gray or black leather. They all clip in and can be removed. Custom roll bar covers were fabricated and covered in gray vinyl to complement the gray velour headliner. With most of the fabrication was done it was time to remove the entire interior and pull the body off the chassis for final bodywork and paint. For painting, the body was put back on the sanding buck. The doors, front hood and engine lid were hung. Steve sprayed on one coat of sealer and two coats of the red base coat, and then three coats of the red pearl coat inside and out, plus two coats of clear. Everything was color sanded to 600 grit and then the doors hood and engine lid were hung in their respective holes. Next, the graphics were laid out and sprayed. At that point everything was pulled back apart so the graphics could be continued through the door openings and everything would be sprayed with two more coats of clear, inside and out. After a couple weeks, everything was color sanded to 1000 grit, then 2000, cut with a cutting com-pound and finished up with a polishing compound. The body was then reinstalled on the finished chassis. With the body safely back on the chassis it was time for final assembly. This is the most fun part of the build for Steve. It's also when the laws of physics no longer apply. Fresh paint can cause a tool that was simply dropped on the other side of the shop to magically bounce and fly horizontally. Is it anti-gravity or magnetism? The entire interior was lined with a layer of thermal protected Hush Mat. Then all the interior pieces were reinstalled. Doors hung, hood fitted and engine lid attached. When installing the glass, Steve discovered that the rear window just didn’t fit the contour of the car quite right so a piece of polycarbonate was cut and fit. Billet grills were designed and fabricated to fill all the openings in the car. After everything was on the car and the ride height set, it became apparent that if the car was to be driven at the level that looked the coolest, a front end lift was going to be needed just to get out of the driveway. So back to the computer and Steve designed a lift system that could smoothly lift the nose two inches in about three seconds flat. Further details were added at the time of assembly like Blue LEDs in all the grille openings under the hood and engine bay. An engine cover from V Raptor provided the starting point for a custom air cleaner cover to be fabricated that ties in with the side scoops to provide fresh air to the engine. In addition, “I also have to thank my wife Teri who was always supportive and ready with a sandwich or anything.” Lastly, another bonus this build has brought to his life is meeting some of the best people through the GTM forums.